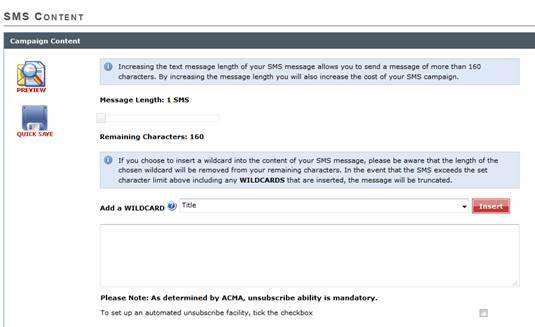 This is displayed in a bar when creating your SMS campaign and when creating SMS templates. If this is set to anything above 1 SMS additional charges (for the additional SMS messages) will be added to the charges for the send. 161-320 characters + 5.5 cents = 11 cents per recipient. up to 5 message lengths for each recipient.